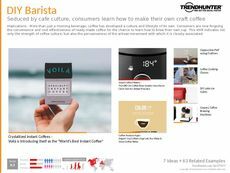 Find Better Ideas, Faster ® with a custom muffin trend report, our PRO Dashboard and 80+ categories of premium trend reports. 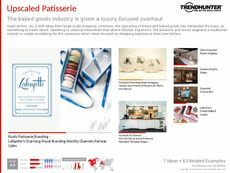 The Muffin Trend Report reveals numerous trends in the world of baked goods -- from healthy ingredients and DIY recipes to popular flavor combinations. Furthermore, this report will unveil how standard baked goods have been reinvented to reflect forward-thinking innovations in the culinary industry. 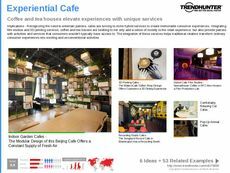 Some of these trends include unconventional muffin recipes and products from bakeries and cafes from across the globe. This report caters to pastry chefs, restaurant owners and culinary industry professionals who are interested in learning about modern food manufacturing methods. 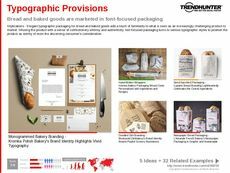 Trend Hunter's catalog of muffin trends will expose audiences to the most current innovations involving the delicious snack and popular breakfast item. 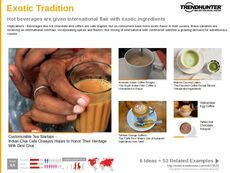 Using Trend Hunter's unparalleled data-driven research, find out what muffin trends consumers are gravitating towards.